For our third meal today we will up the time limit a bit due to the nature of dinner being somewhat more intensive. Our dinner Meal in 20 Minutes or Less is going to be one of my favorites: curried broccoli with alfredo sauce on pasta. I was skeptical the first time my husband made it for me, but it has quickly become one of my favorite meals! 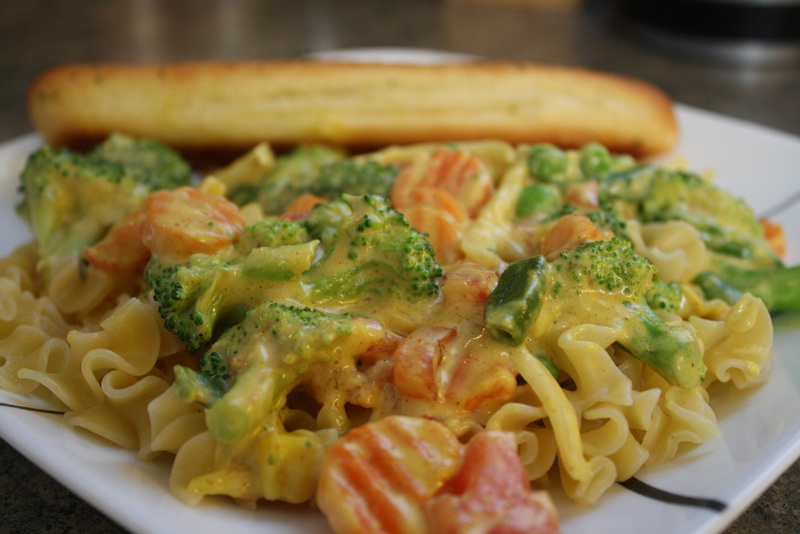 And with some minor alternations from the original, we will make this dinner from fridge to plate in 20 minutes. So buckle up, because it's going to be a speedy kitchen journey! Fill a 2-qt (medium) pot about halfway with water and place on high heat until water boils. 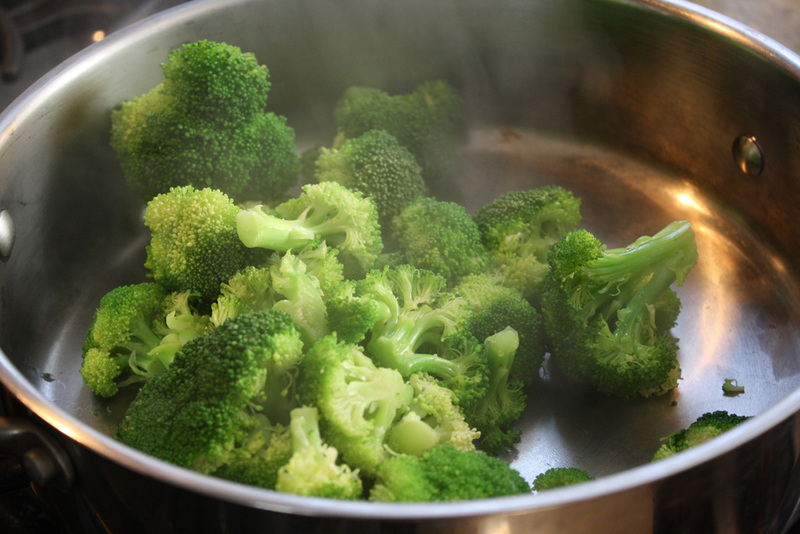 Microwave the broccoli for 2-3 minutes or as per the instructions on the steam bag. Meanwhile, dice the onions and tomatoes. In a large saucepan, add the olive oil, curry powder, garlic, broccoli, and onions. Cook on medium-high heat for 2 minutes. 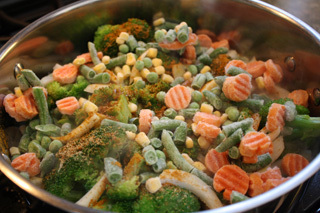 Then add the frozen vegetable medley and cook for 3 minutes. 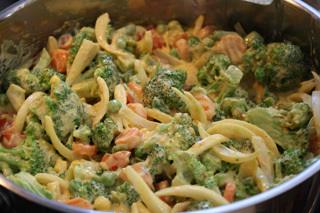 Add the diced tomatoes and Alfredo sauce to the vegetable mixture. Cook for 5 minutes, or until heated through. 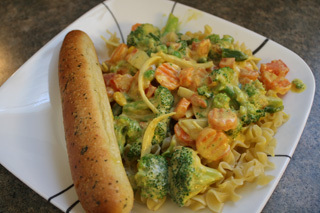 While the broccoli Alfredo sauce is cooking, add the noodles to the boiling water and place the breadsticks in the oven. Each item cooks for about 6 minutes. Timing is key, but if done correctly, you will have a meal in 15-20 minutes from fridge to plate!